Yesterday in church we had an old-fashioned hymn sing. We sang songs that I remembered singing when I was a little girl. As we sang, I was brought back to a simpler time in a tiny church in Duluth, MN. 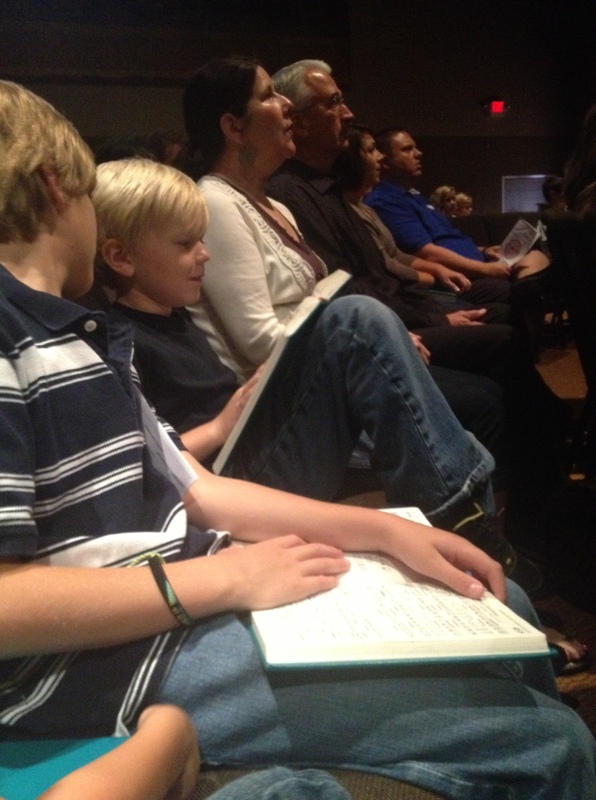 I watched my children from the stage and could not help but cry as I saw them sitting next to my parents in the congregation. I watched them try to sing the songs that they had heard me play in the car over and over while I was preparing for this day. The sweet memories of singing those songs with my parents growing up was overwhelming. In a way, I wanted to go back in time and bring my children there too. I often miss those times growing up with little to do. Jeremy and I talked this morning about how we are ultimately in control of our schedule. (I don’t feel like it a lot of the time) It’s so hard to say no and stay committed to our family time. Although, we know it is so important to put our families first. The simpler times are missed today but I am hopeful that if I try really hard and say no more often, I can have glimpses of them and be encouraged. Thank you so much. You guys are so special. Days were simpler back then, weren’t they? I, too, often wish we didn’t have quite so much technology, tv, video games and so forth. Children just don’t socialize and play like we used to! So true. I love the times we just sit around & play board games. We seem to laugh so hard during those times. YES! Board games! My girlfriends and I would sleep over each other’s houses and play Monopoly for days on end!